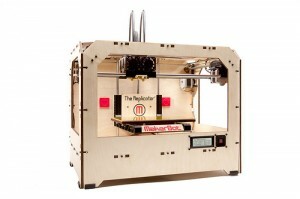 This weekend the MakerBot team will be showing off their new Replicator printers at C2E2. On Friday after the show, MakerBot will be hosting a meetup for 3d printing fans and anyone who wants to learn more about MakerBots. They’ll be demonstrating their Replicator printers and refreshments and pizza will be on hand. If you attend our automation meetups or are interested in 3d printing, or perhaps just like beer and pizza then come on out and meet the guys who popularized 3d printing in the maker community.